Affordability, Statistics and the Australian Housing Market. Before I get into what could be a slightly ranty post about the Australian property market I feel it’s prudent to mention that I’m an owner-occupier, investor and would be regarded as being particularly well off when compared to the average Australian. Thus my views may be somewhat skewed by the fact that I have a vested interest in the property market. However I believe that there’s a lot of disinformation out there about housing prices and what constitutes “affordable” property, especially when the entire market is boiled down to single figures. What I intend to show you is that whilst Australian property is more than likely above fair value this does not preclude the average Australian family from owning their own home, nor are first home buyers priced completely out of the market. There’s been a report circulating recently from NATSEM that says we’ll need a decade of flat housing prices in order for them to come back to affordable levels. This sparked quite the reaction in the media, strangely lacking any direct finger pointing that usually accompanies issues like this. There’s no question that the last decade has seen some extremely wild growth in the Australian property market and for years people have been predicting the ultimate downfall of the Australian housing market. The Global Financial Crisis was supposed to be the trigger that sent property prices tumbling but it had the opposite effect, with extremely low interest rates pulling many into the market and increasing demand significantly. Now that the pressure is back on with interest rates at their pre-GFC levels the question of affordable housing is a hot topic, but it’s not all bad news for those chasing the Australian dream. For starters let’s dive into the (thankfully unbiased) figures from the NATSEM report. On the surface it looks bad for Australia with the median¹ house price being a whopping 7.3 times that of the median income, 50% higher than what it was back in 2001. However whilst I believe using the median as the measure is by far more intellectually honest than other measures it does hide some important information from the reader. Although the median Australian house price might be $417,000 that also means that 50% of all Australian houses are valued somewhere below that particular line. For first home buyers this means that they shouldn’t be shooting to buy a house at the median price since there is an ample amount of stock available at a much cheaper price bracket. The houses above the median then are usually more suited to those looking to upgrade and not those trying to break into the market. Income: $57,000 /year, $3,823.33 / month after tax. Income: $114,000 /year, $7,646.66 / month after tax. In this situation it’s starting to look a lot better with the percentage of total income spent on housing much closer to the 30% of total income that the banks usually use when determining loan size. The above scenario isn’t too far from the situation I was in when I purchased my first house back in 2007 and whilst it wasn’t the easiest thing in the world to do (it was helped a lot by renting out the spare rooms) it was definitely possible. This doesn’t disprove the point that Australian house prices are unaffordable for median, single income earners however but even in 2001 it would’ve been a struggle. Since the media hasn’t played the blame game yet I thought I’d throw my hat into the ring on this one. Investors who are negative gearing would be an easy target with this one and they’re usually the first to get blame for high housing prices. However in Australia the vast majority of property, to the tune of 68.90%, is owner-occupied (I.E. people who own it live in it). The remaining 31.10% is investors but the vast majority of investors only own 2 properties, their home and another investment. It then seems infeasible for investors to be solely responsible for housing price gains when the vast majority of property is in the hands of owner-occupiers or one time investors. The price rises logically then come from the majority, but how are they doing so? Simply put it’s people leveraging the equity in their own homes in order to upgrade to a bigger, better home whilst keeping the loan repayments at a similar level. The initial 2001 – 2004 boom meant that many had enough equity to upgrade and many did so over the years. Of course being rational actors they attempted to maximize their sale price in order to reduce the loan on the next property and this put an upward pressure on housing prices, both on the low (the one they were selling) and high (the one they were buying) end of the market. The interest rate scare of 2007-2008 put enough pressure on people to curtail this behaviour for a while, but the GFC dashed those high rates and the upgrades began again in earnest. I’ve long been of the opinion that there will never be a house price crash, instead I foresee a long time of stagnant or small negative growth whilst wages catch up to bridge the affordability gap. The simple fact is that prices can only drop significantly if people are forced to sell and although many first home buyers who bought in during the lowest interest rates are feeling the pressure now they form only a small part of the market, not enough to trigger a price collapse and most will simply delay selling until conditions improve. It is unfortunate that the Australian dream is out of reach for a median single income earner, but many factors point towards housing becoming more affordable for them in future. The government could do a much better job of incentivizing the construction of low cost housing as current market conditions favour bigger, higher cost houses. Additional land releases and incentives for desirable, low cost housing would also go a long way to putting a downward pressure on house prices. It’s not a problem that can be fixed overnight either and we’ll need long lasting reforms in order to keep housing affordable, lest the prices rise and the cycle start all over again. ¹The median in statistics refers to the value in which 50% of the total data set is above that value and 50% is below it. It’s much more resilient to use this figure when you have outliers on either side of the equation which in the case of Australian property and wage figures there are many. Using the average would then be less representative of the real world. 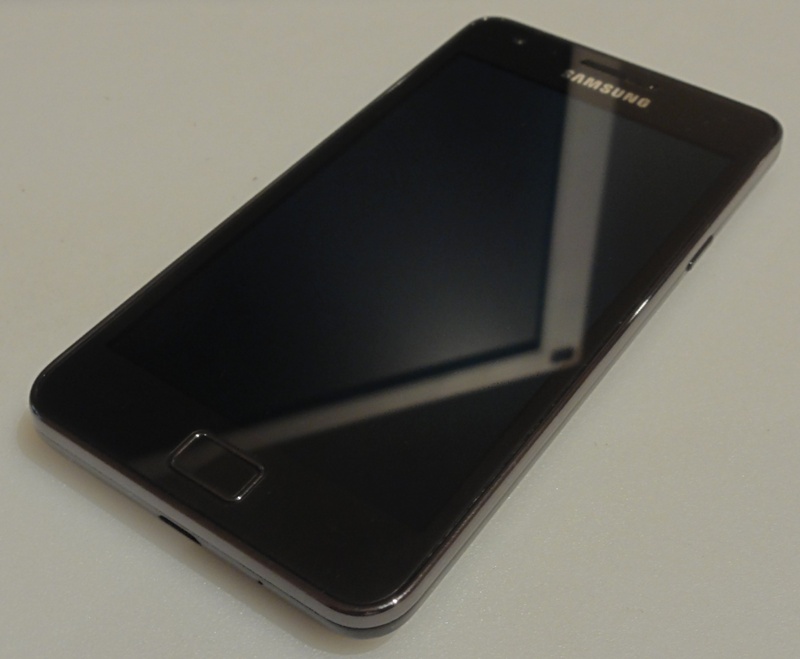 Samsung’s Galaxy S2: Powerful, Elegant, Sublime. I’m pretty fiscally conservative when it comes to my own cash, agonizing over purchases for sometimes weeks at a time before I take the plunge. It’s enough to outright kill some purchases entirely like the Motorola Xoom that I was convinced was worth at least having around just for the “tablet experience” but couldn’t seem to pass my financial filter. There are however times when my inner geek becomes so impressed with something that it overwhelms any sort of fiscal responsibility and I’ll find myself in possession of my object of desire well before I realize that I’ve taken my credit card out of my wallet. The Samsung Galaxy S2 is a brilliant example of this as I had been looking for a new phone for a while (and the Windows Phone 7 handsets available weren’t wowing me) and a quick trip to the specification sheet had me deep in geek lust, and 3 days later I had one in my hands. The Galaxy S2 is really another world away from any other handset that I’ve had the pleasure of using. It’s quite a wide unit with the main screen measuring an impressive 4.3″ (10.92cm) across the diagonal but it’s also incredibly slim, being only 8.49mm thick. It’s also incredibly light weighing in at a tiny 116g which you’d think would make it feel cheap when compared to other similar handsets (the iPhone 4 is much more meatier) but the construction of the handset is very solid despite it being entirely plastic. The front screen is Gorilla glass which is incredibly resistant to scratches. I haven’t had a single scratch on it despite dropping it a couple times and putting it in my pocket with my keys by accident, something that would’ve ruined a lesser phone. To say that the first impressions of just holding the handset are impressive is putting it lightly, it’s simply an incredible device to hold. In fact coming directly from an iPhone to the Galaxy S2 I can see why Samsung is in hot water with Apple over this particular device. I’ve covered the TouchWiz interface being strikingly similar to iOS in my Android review but the handset itself is also very Applesque, sporting the same single physical button on the front right in the same location that Apple has. Although its hard to accuse them of outright copying Apple since you can only get so creative with large touchscreen devices, especially when some of the required buttons are dictated by the underlying OS. As you can see it actually stands up quite well when compared to my Sony. The video and picture quality is very comparable, especially in well lit situations. However it does fall down in low light and any time there’s motion due to the smaller CMOS sensor and lack of image stabilization. The LED flash on it is also incredibly harsh and will likely wash out any low light photo you attempt to take with it, but it does make for a decent little flash light. It won’t outright replace my little pocket cam any time soon but it’s definitely a good stand in when I don’t have (or don’t want to carry) it with me. The everyday usability of the Galaxy S2 is also quite good for someone like me who has large hands (…ladies 😉 and used to struggle somewhat with the smaller screens on other handsets. However one gripe I do have with the handset is the lack of physical buttons for the options and back buttons for Android. The Galaxy S2 opts instead for 2 capacitive buttons either side of a the physical home button which does give the device a much sleeker look but can also mean accidental button touches should you brush against them. Samsung has also opted to put the power button on the side of the handset instead of the traditional placement on top near the headset port, which takes a little getting used to but is quite usable. Where the stock Galaxy S2 falls down however is in its battery life. With moderate usage the battery wouldn’t make it through a second day requiring me to keep it plugged in most days whilst I was work lest it die on me overnight when I went home. This could have been the deal breaker for this phone as whilst I’m not the forgetful type I do like to be confident that I can make it through the day without having to watch the battery meter like a hawk. Thankfully the guys over at XDA Developers came to the rescue again with their custom ROM for the Galaxy S2 called VillainROM. After going through the process of doing the upgrade my battery now lasts about twice as long as it used to, only needing charging once or twice a week. I’ve yet to run Advanced Task Killer to attempt to squeeze even more battery life out of my handset, but it’s good enough for the time being. It should come at no surprise then that this has been a wildly popular handset with both the tech and non-tech crowd a like. In the 3 months since its release the Galaxy S2 has sold a whopping 6 million units and just anecdotally it seems nearly every single one of my friends who was looking for a new phone has got one as well as almost half of my workmates. I used to laugh at anyone who touted any smartphone as an iPhone killer but with the Galaxy S2 not even being available in the USA yet and already garnering such a massive reception it might be the very first single phone that will be able to come close to touching Apple’s numbers. Of course I don’t believe for a second that any single Android handset will be able to take down the iPhone, not for a while at least. The Samsung Galaxy S2 has set the bar as to what smart phones should be capable of and it will be the gold standard with which all are compared to for a long time coming. The combination of elegant design, incredible power and features galore make the Galaxy S2 stand out from the crowd in a big way, so much so that buying any other handset seems illogical. For many it has the potential to replace several other devices with its top notch multimedia components, further improving the overall value that you can derive from this handset. Overall the Samsung Galaxy S2 is a wonderfully impressive device and if you’re in the market for a new smart phone I really can’t recommend it enough. The Shuttle Era Ends, A New Frontier Awaits. 10 days after Atlantis blasted off on its final trip into space for STS-135 the last ever space shuttle mission has finally returned to earth, signalling an end to the 30 year program and marking the end of an era for space. For many of us young star gazers the space shuttle is an icon, something that embodied the human spirit ever searching for new frontiers to explore. For me personally it symbolized something I felt truly passionate about, a feeling that I had not been familiar with for a very long time. Many will lament its loss but it has come time for NASA to reinvent itself, leaving the routine of low earth orbit for new frontiers that eagerly await them. 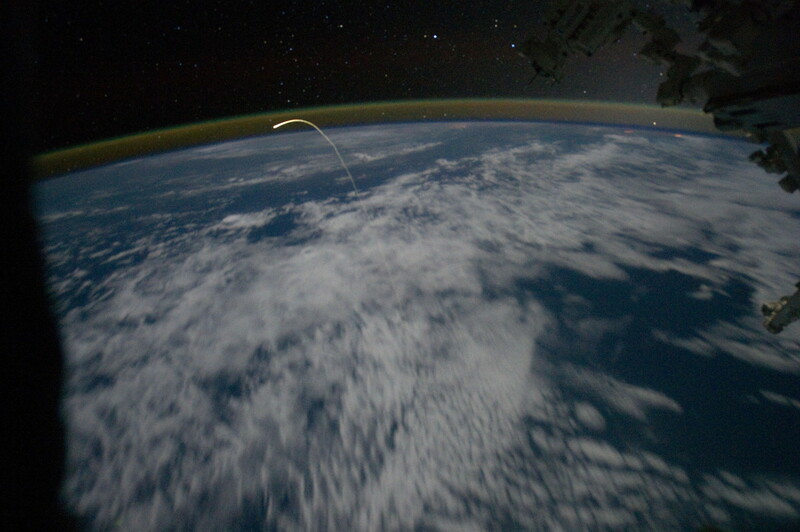 Atlantis’ final firey return back to earth, as seen from the International Space Station. The shuttle was, from a technical point of view, too much of a compromise between government agencies for it to be able to achieve the goals set out for it. There’s no denying it was an extremely versatile craft but many of the design decisions made were at odds with the end goals of making a reusable craft that could cater to all of the USA’s launch needs for the next 30 years. Constellation then would look like a step in the right direction however whilst it was a far more appropriate craft for NASA’s current needs their money is better spent on pushing their capability envelope, rather than designing yet another launch system. NASA, to their credit, appears to be in favour of offloading their launch capabilities to private industry. They already have contracts with SpaceX and Orbital Sciences to provide both launch capabilities and crew/cargo capsules however attempts to fully privatize their more rudimentary activities have been routinely blocked by congress. It’s no secret that much of the shuttle’s manufacturing process is split up across states for purely political purposes (it made no sense to build the external tank so far away that it needed a barge to ship it back) and the resistance from congress for private launch systems is indicative of that. Still they have their foot in the door now and this opens up the opportunity for NASA to get back to its roots and begin exploring the final frontier. It’s a historic day and it will mark a turning point for NASA and space flight in the USA one way or another. It’s my fervent hope that NASA uses this as an opportunity to refocus on its core goals of pushing the envelope of what’s possible for humanity through exploring that vast black frontier of space. It won’t be an easy journey for NASA, especially considering the greater economic environment they’re working in right now, but I know the people there are more than capable of doing it and the USA needs them in order to inspire the next generation.